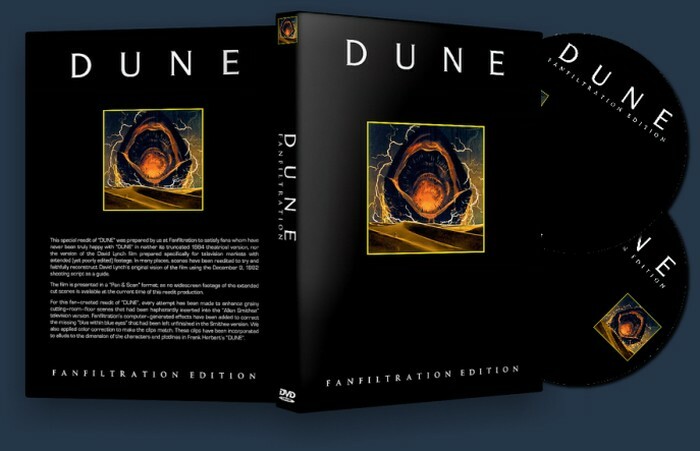 This special reedit of “DUNE” was prepared by us at Fanfiltration to satisfy fans whom have never been truly happy with “DUNE” in neither its truncated 1984 theatrical version, nor the version of the David Lynch film prepared specifically for television markets with extended (yet poorly edited) footage. 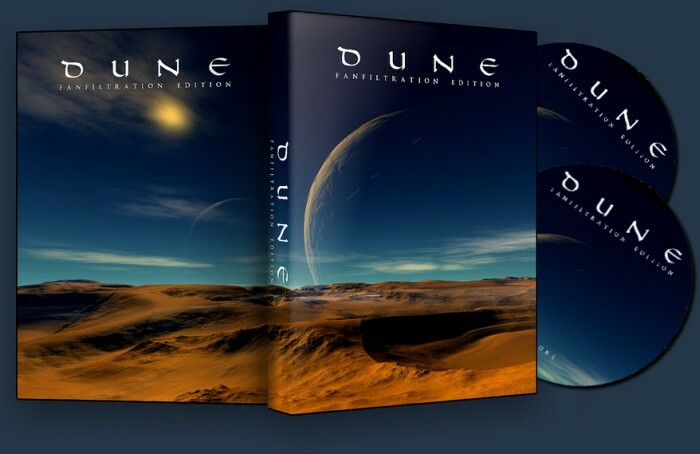 In many places, scenes have been reedited to try and faithfully reconstruct David Lynch’s original vision of the film using the December 9, 1982 shooting script as a guide. have been added to correct the missing “blue within blue eyes” that had been left unfinished in the Smithee version. We also applied color correction to make the clips match. 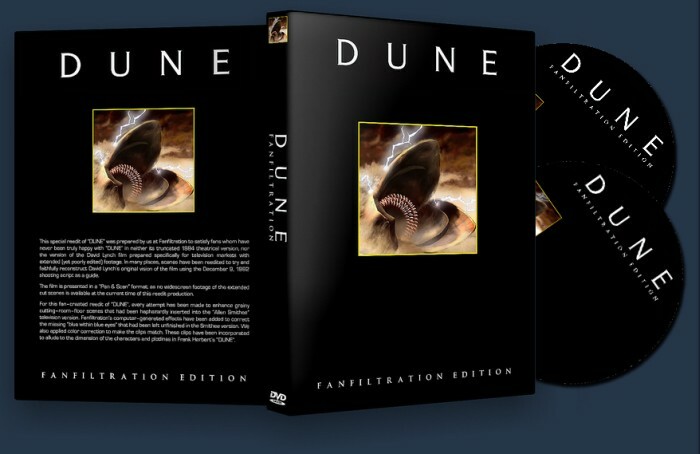 These clips have been incorporated to allude to the dimension of the characters and plotlines in Frank Herbert’s “DUNE”. this is a fantastic edit. really one of my favorites and probably the tipping point of diving into the fanedit world for me. 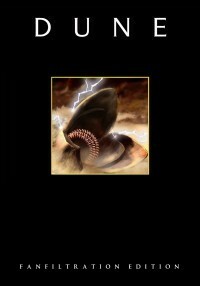 like oldbiff85 said above this IS a “crowning achievement” and “a true pleasure” – couldn’t say it better myself, so i’ll just steal from you, lol. the end result here is truely larger than the sum of its parts and i give this a solid 5/5. required viewing.